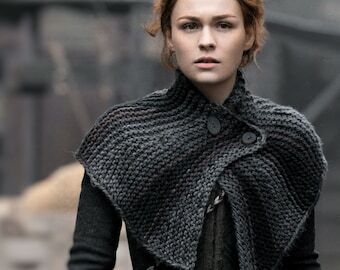 I designed this Brianna's Capelet to be a replica of the one worn by Sophie Skelton (Brianna Randall Fraser) of the TV show “Outlander”, Season 4 Drums of Autumn. 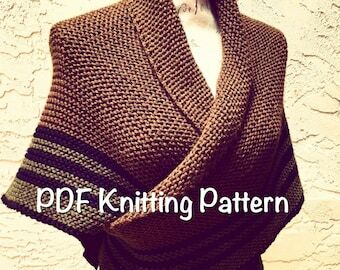 It's a lovely rustic-look garter stitch capelet (short cape). Perfect for those damp days in Wilmington. Skill Level: Advanced Beginner - Intermediate. 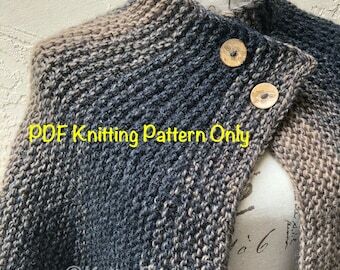 This rustic garter stitch capelet is knit from side to side, using wrap and turn short rows to shape the shoulders. 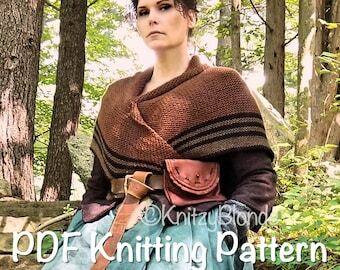 To knit this pattern you should know how to read a knitting pattern, and know all basic knitting skills, including the W & T technique. Sizing: This will fit up to a plus size 3X as written. There are also notes to make smaller or larger. 1 pair of circular needles (or inter-changeable circular needles), US size 13 (I recommend using 32” circular cable). Optional: 2-4 buttons. 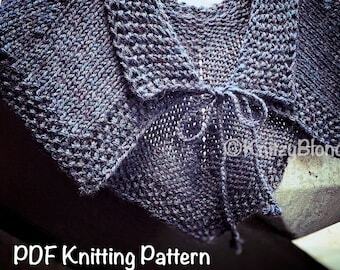 2, 1” buttons work best, but you can also use a brooch, shawl pin or alternative closure for the capelet. Yarn: Recommended Yarn is Lion Brand Scarfie yarn, Bulky weight, held double to create a super bulky weight yarn. 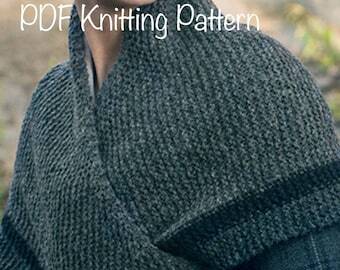 You will need 2 skeins of 312 yards each. 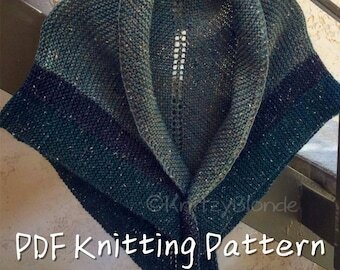 (If using the Scarfie yarn, because it is an ombre/self striping yarn, be sure that both skeins start at the same color so the striping happens.) You can also substitute any other super bulky weight yarn you like. 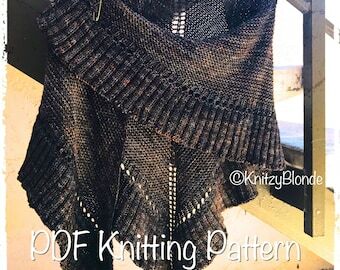 Finished Measurements: After wet blocking, your capelet should measure approximate 15” in length, approximately 65” around bottom edge, and approximately 23” around the neckline edge. Copyright info: Pattern and all photos herein are the registered copyright of Sandie Russo (aka KnitzyBlonde) all rights reserved, 2019, except photos from “Outlander” which are copyright Starz/SonyTV. 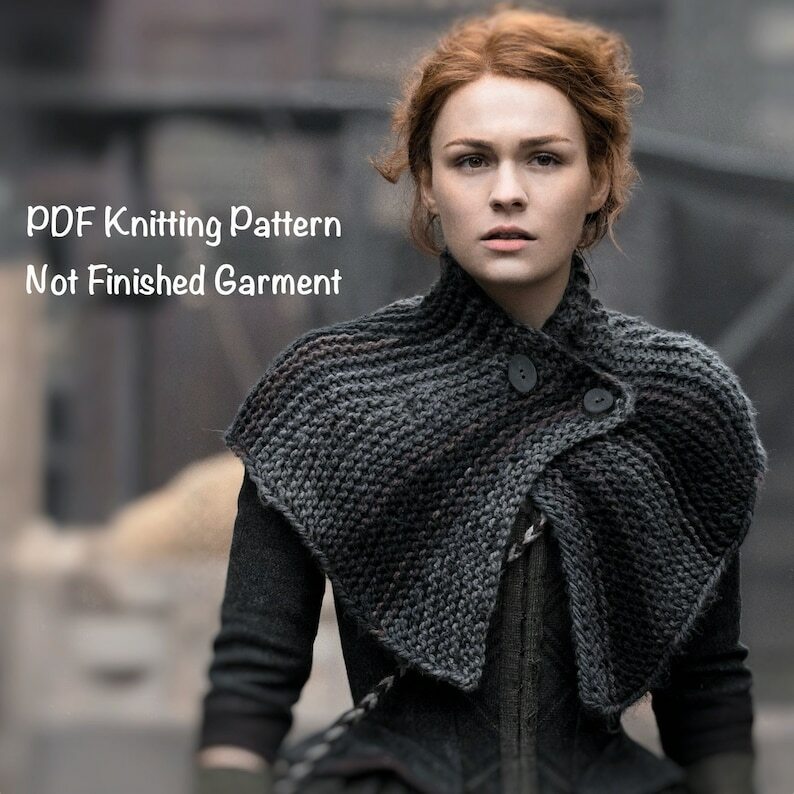 This knitting pattern is for personal use only. You may not sell or distribute this pattern in any form.